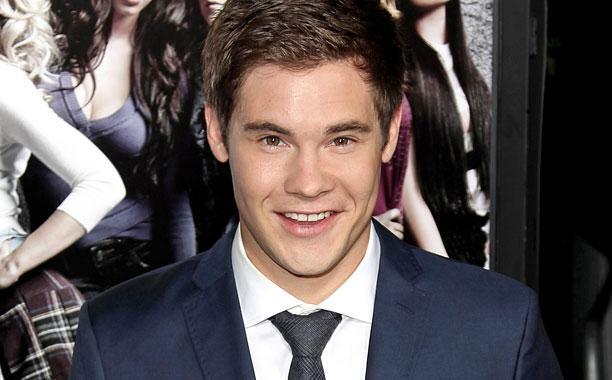 Ever the dependable supporting actor when it comes to comedy, Adam Devine looks set to make the jump to mainline star now that Deadline reports the actor has been tapped to headline Paternity Leave. That doesn’t sound too far removed from a plot that would appear in Comedy Central’s office sitcom, Workaholics. Indeed, the ongoing series helped fire Devine into the limelight, and he has since appeared across the Pitch Perfect franchise and, soon, matrimonial comedy Mike and Dave Need Wedding Dates. Working closely with Strauss-Schulson to develop Paternity Leave, next port of call for Devine will be assisting on script duties, and it’s safe to assume New Line will be busy scouting for candidates to fill the remaining “immature friends” that will feature. For the time being, Adam Devine can next be seen opposite Zac Efron and Anna Kendrick in this summer’s Mike and Dave Need Wedding Dates, which debuted a bonkers new red band trailer earlier today. Beyond that, there’s also a seventh season of Workaholics on the cards, not to mention a potential role in Universal’s Pitch Perfect 3 as one of the former Treblemakers.